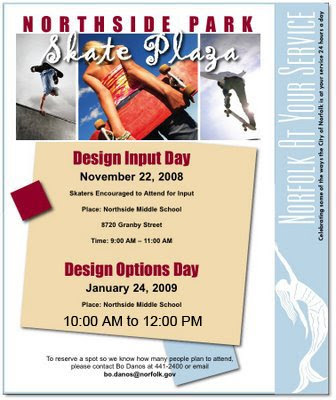 This Saturday, January 24th is the Design Options Day for the Norfolk skatepark. The time has been changed to a more skate friendly 10-12. Be there and have your voice heard. I recommend upside-down rainbow rails and Target balls.